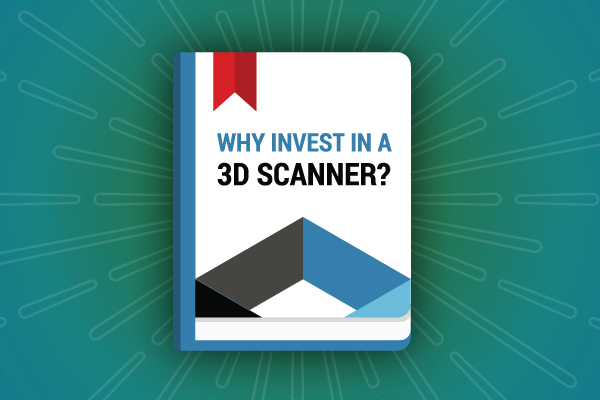 How to Ensure Your 3D Scanner Becomes a Return on Investment (ROI)? If it’s your first time purchasing a 3D scanner, it can be an overwhelming experience. There are so many 3D scanning solutions out there in the market claiming to have the fastest scan speed, the best accuracy, and can do exactly what you want to achieve. 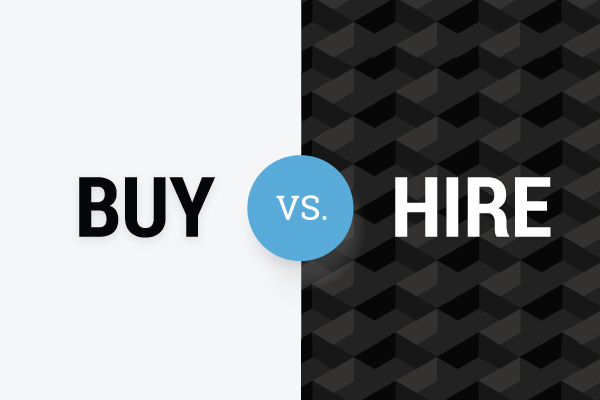 How do you know which one will actually be able to solve your business problem after purchase? Your 3D scanning equipment purchase should be an investment that pays off—in the form of cost savings by improving process efficiency, to solve a problem, or to help you achieve better product quality. The worst thing that can happen would be to buy a 3D scanner and to realize later that it doesn’t provide a return for you because you purchased the wrong equipment or it doesn’t perform the way you had expected. Here are some things you need to take into account to ensure you get the right 3D scanning solution that will produce a return on investment. When researching for a 3D scanner to purchase, the first step is to clearly define what you are looking to accomplish. Selecting which solution is best suited for you really depends on your specific application and what results you expect from its implementation. We have seen clients get really excited about 3D scanning technology and they get caught up on wanting to implement it into their operations in some way without stating a clear purpose. If you don’t have a clear idea on what you want to achieve it’s difficult to know—and get—what you need to produce results. It’s easy to assume that if you know what you need inside your head it’s good enough. However, if you outline your thoughts in writing they will become more concrete. You can always refer back to this document as a guide when you are evaluating the different options available to see which one is the best fit for your needs. Otherwise, you will have no criteria to evaluate whether the solutions you are considering will meet those requirements. What challenge(s) you are trying to solve? Accuracy: How close do you need the scanner to obtain the true measurement value of the object you are looking to scan? Resolution: How much detail do you need from the 3D scans? Scan size: What type of objects are you looking to scan? Do they vary in size? Color/Monochrome scans: Do you need the scanner to capture color texture? What goals or business objectives would you like to accomplish? Going through this process of documentation will help you narrow down your options and will steer you in the right course of making the final decision. When evaluating similar 3D scanners from various vendors, we often rely on looking at datasheets to compare technical specifications. It’s important to look at the technical specifications on datasheets very critically rather than taking them at face value. The optics of a datasheet can be weighted to a particular scanner’s strengths. 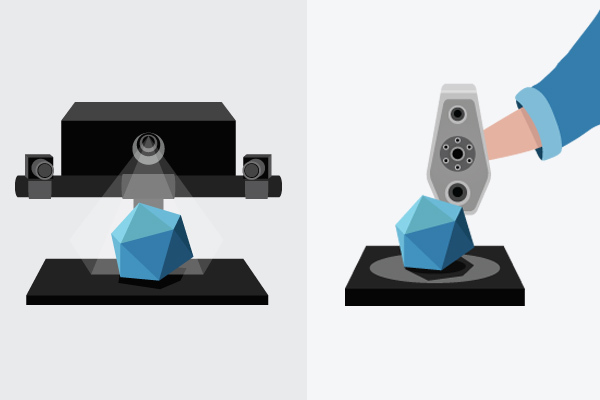 Currently, there aren’t any industry standards to hold each 3D scanning manufacturer accountable to provide technical specifications using the same testing methodology for getting numbers such as accuracy and resolution. These numbers shown by themselves don’t give context. They are affected by variables including field of view being used, environmental conditions, and the type of scan target being used when calculating these numbers. Consequently, it’s very difficult to compare apples-to-apples when comparing 3D scanners from different manufacturers purely by judging the specifications on datasheets. The best way to see if a 3D scanner meets your technical requirements is to see the quality of the raw scan data of a similar object you are looking to scan. It serves as evidence to support the numbers written on datasheets. Raw scan data is unmanipulated 3D data captured directly from a 3D scanner without any post-processing. It’s similar to judging the quality of a camera by looking at the photos it takes before the photos get Photoshopped. Reputable vendors will provide you with raw scan samples upon request to help you make the most informed decision. While it is perfectly understandable to want the best solution you can get, you need to make sure that your budget is aligned to what you really need versus what you want. To think of it from another perspective, let’s say you want to buy a new car for your family. Although it’s nice to get a Ferrari or a luxury car to ride in style, it might be an overkill if you just need a simple transportation means to get you to places (also you probably don’t have the budget or want to spend that much money for an expensive ride). Expensive technology doesn’t necessary translate to it being the best solution for you. You don’t need to get top of the line if you are going to use a fraction of the features or specifications. It’s important to find the right technology for your needs. Set realistic expectations and get the solution that gets the job done and works within your budget. Why buy—or pay for—an expensive scanner with the best accuracy and resolution you can get on the market when you don’t need it? Don’t be tempted by spending more on unnecessary features that don’t add value for you. The key to making sure that the 3D scanner implementation is successful after purchase is to have people within your company to champion its use and have dedicated staff to master the skill of 3D scanning. It’s a good idea to loop them in during the buying process so they feel they are involved in the project, from procurement to implementation. It gives them a better understanding as to why your organization is implementing 3D scanning into your processes. It fosters a sense of ownership. Consequently, they would be able to see through your vision to help you succeed in achieving your ultimate goal. While 3D scanning has become more and more easy to use over the last five years, your employee(s) still need to take the time to learn and train on how to use the 3D scanner for the specific applications you need, whether it’s reverse engineering, inspection, measurement, or 3D visualization. 3D scanning is a skill that gets better with training and experience. Most solution providers will offer training for your staff if required. When assessing different 3D scanner options from various companies, you need to find a vendor that you can trust as a solutions partner. There are many vendors out there offering same 3D scanners but what sets a solutions partner versus a product provider apart is the service and experience. You know if a vendor is a reputable solutions partner if they have years of experience in the area of 3D scanning. During the buying process they are dedicated to going the extra mile to help you find a solution to your problem or challenge. You should feel at ease working with them and they can provide you with valuable information and tips you would never have thought of yourself. Every project is unique so it is important that your vendor understands your project requirements and helps you figure out the best solution to your challenges. Some vendors also offer technical support along with their products to ensure that you receive assistance post-purchase. Having a vendor as a partner is crucial in making sure that you purchase the right 3D scanning solution for your business. Making a Case to Your Boss: Why Invest in a 3D Scanner? Buy a 3D Scanner or Hire 3D Scanning Services?